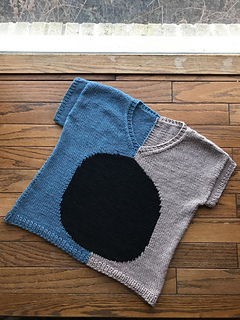 ENGLISH Ellen Tee is worked flat top down using the intarsia knitting technique and has a loose fit. 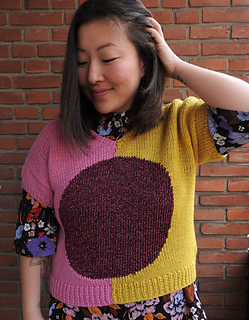 This knitting project is perfect, if you are new to intarsia and want to try it out with a less complicated knit. 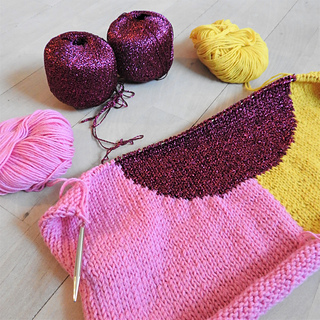 The tricky part with intarsia is that you need a bundle of yarn for each colour you knit; it can tangle and be a mess. 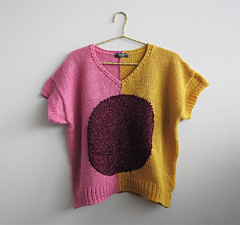 This knit has a maximum of three colours at a time. The tee is knitted in two strands of Gepard All Day and two strands of Gepard Shine Bright, you can use Gepard All Day for all three colours. 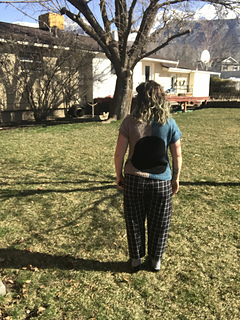 The pattern has two chapters. 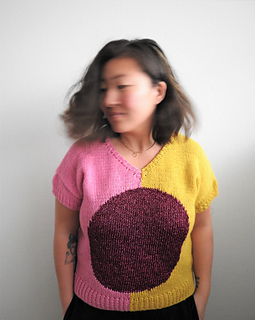 Chapter 1: How to Knit the Tee. 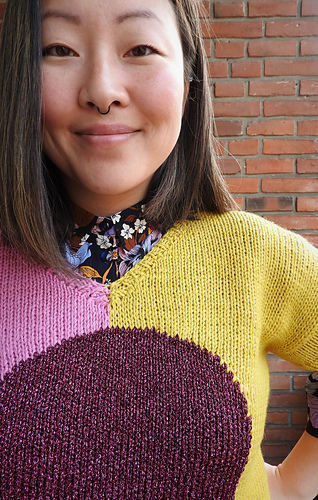 Chapter 2: How to Knit Intarsia. 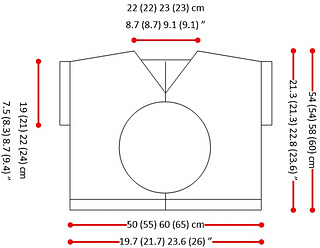 DANSK Ellen tee er strikket frem og tilbage oppefra og ned med intarsia strikketeknikken og har en løs pasform. 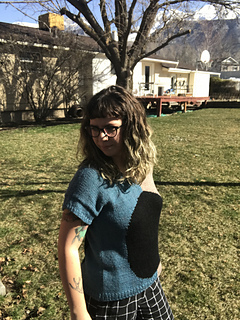 Mønsteret er perfekt, hvis du er ny til intarsia og gerne vil prøve teknikken af med et mindre avanceret projekt. Det, som kan være svært ved intarsia, er de mange nøgler af garn, du skal strikke med, som kan blive rodet sammen. I dette projekt strikker du med højst tre farver af gangen. Blusen er strikket i to tråde Gepard All Day og to tråde Gepard Shine Bright, du kan bruge Gepard All Day for alle tre farver. Mønsteret har to kapitler. Kapitel 1: Sådan strikkes blusen. Kapitel 2: Sådan strikkes intarsia.